In the modern consumeristic society, we are constantly purchasing new products, whether online or at the store. But there’s a great deal more than the simple order that arrives on our doorstep or product we purchase from the shelf. 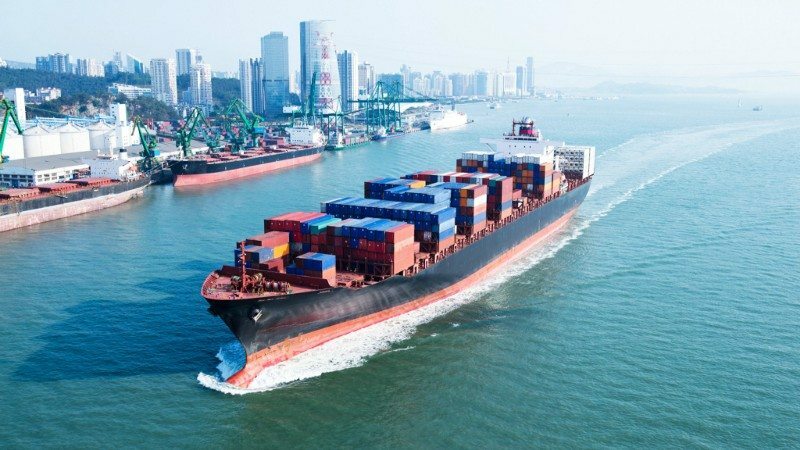 The world is connected through trade more than ever before, and one of the most important aspects of that globalization is shipping. The shipping industry plays a key role in allowing us to click a button on our computer and have a new pair of shoes arrive on our doorstep. But it’s not even close to as simple as it seems. We may have streamlined shipping in our modern society, but the amount of paperwork involved for shipping one simple container of goods is absolutely enormous. Just imagine the tracking and trading that must be done to get one pair of shoes into your hands. One shipment could easily require files, as thick as hundreds of pages, that need to be distributed among dozens of departments. Now imagine the possible shipping industry if blockchain is applied to the system. We’re imagining an industry where reams of paperwork are replaced with an online database, where tracking is reduced to minimal cost and time is cut from days to minutes. This is the shipping industry of the future. The shipping industry is looking at a major revamping that could significantly reduce cost and increase efficiency. It’s about to jump on board the blockchain ship to streamline shipping to a speed never before matched.